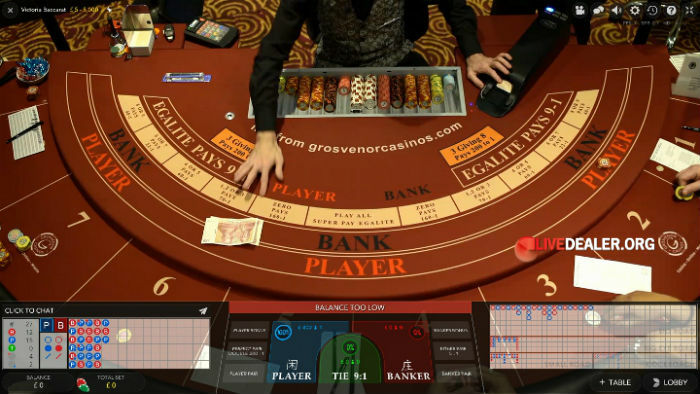 Evolution Gaming offer a large range of baccarat tables – primarily Punto Banco baccarat dealt from a manually shuffled 8 deck shoe. 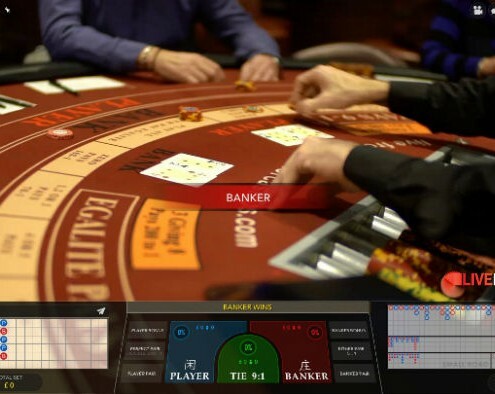 For No Commission Baccarat, the highest returning bet is the Player bet, with a theoretical return of 98.76%. 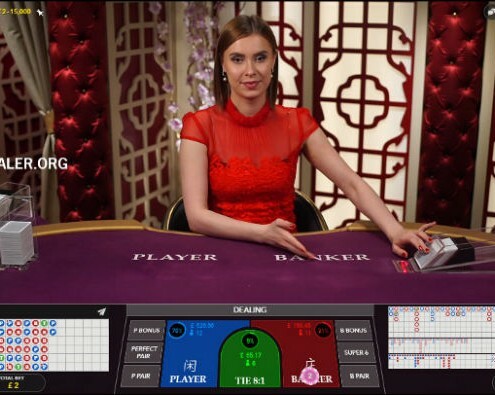 House rules on these tables are identical across all casinos, with the exceptions of Genting and Grosvenor casinos (UK players accepted only) which offer an elevated (9:1) payout on Tie bets. 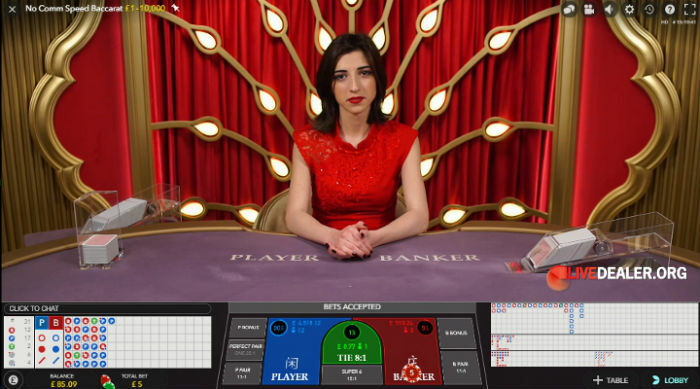 Before getting too excited about this, a Tie bet paying 9 to 1 is still significantly inferior (in terms of RTP) to the Banker bet so this shouldn’t really be the fact driving your choice. 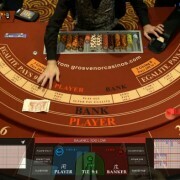 Grosvenor also offer live baccarat from the Victoria Casino in London…the first of Evolution’s Dual Play Baccarat series. 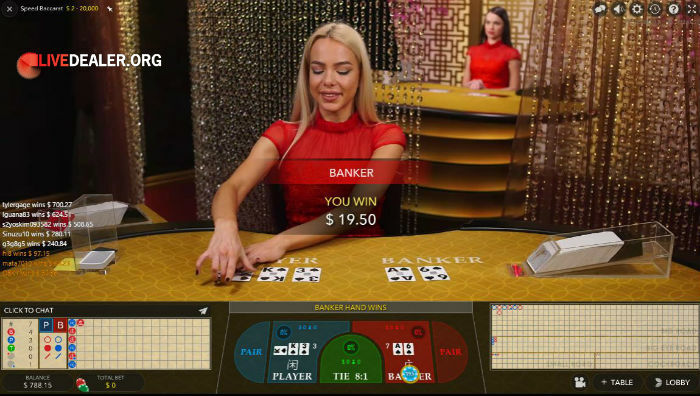 If varied ambiance and extra dealers to choose from is important to you, William Hill and Genting both carry private/exclusive baccarat tables. 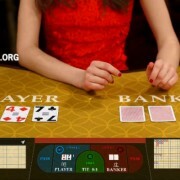 Really, the key difference in live baccarat tables from one Evolution Gaming casino to the next, is table limits. 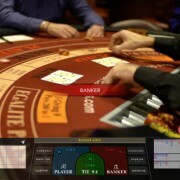 To this end, consult our table limits page to help make your choice. 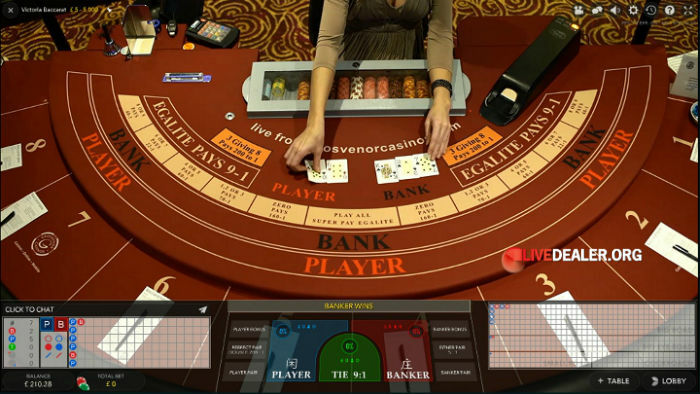 This is what Evolution Gaming live baccarat tables looked like back in 2009. 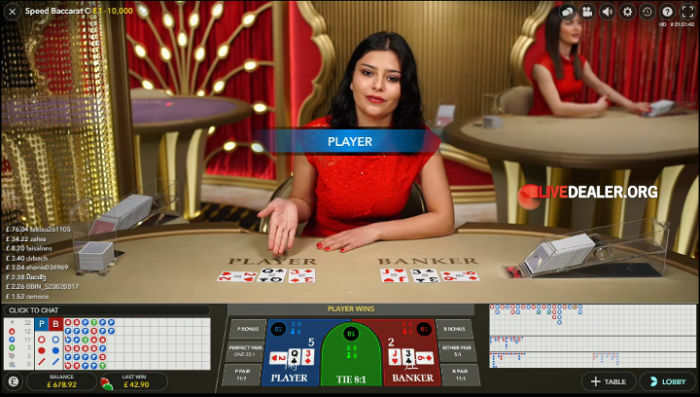 Evolution Gaming began 2016 with the introduction of new look baccarat tables with multiple camera views (+ card close-ups) and card squeeze/peek for all players to see. 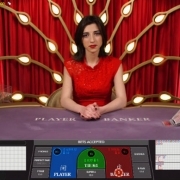 Only the cards dealt to the position with highest cumulative bets are squeezed. 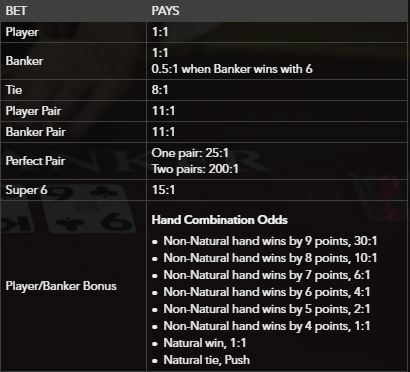 Optional pairs side bet available. 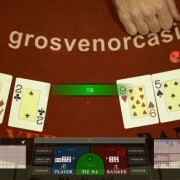 On Evolution’s Controlled Squeeze baccarat table, players are able to peek at the cards before the dealer reveals them. 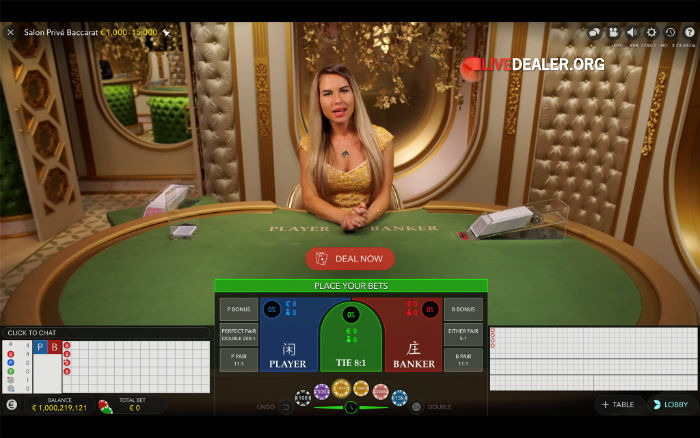 Evolution’s baccarat tables are now all presented in HD, widescreen with a gold and feng shui feel…making the high rollers feel a little more at home. 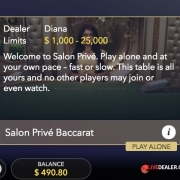 In addition to regular (deal) speed tables, players wanting a fast deal can try the popular Speed Baccarat tables (now a few of them). 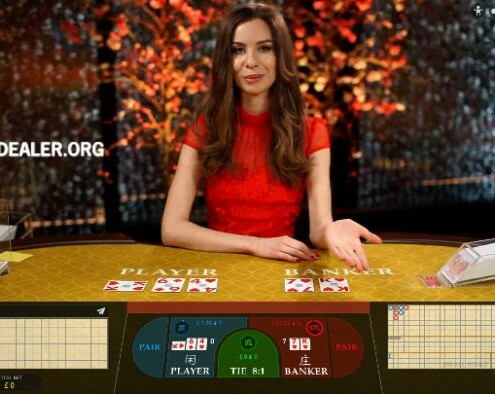 Bet, Player (1:1), Banker (0.95:1) or Tie (8:1), or optional pairs side bets paying 11:1. 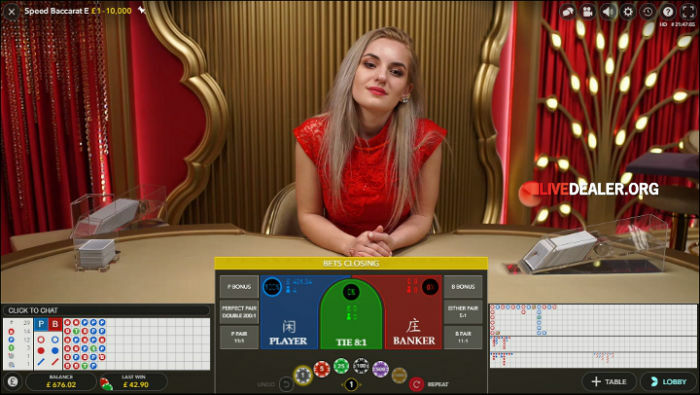 Evolution introduced their No Commission live baccarat table at ICE 2018. 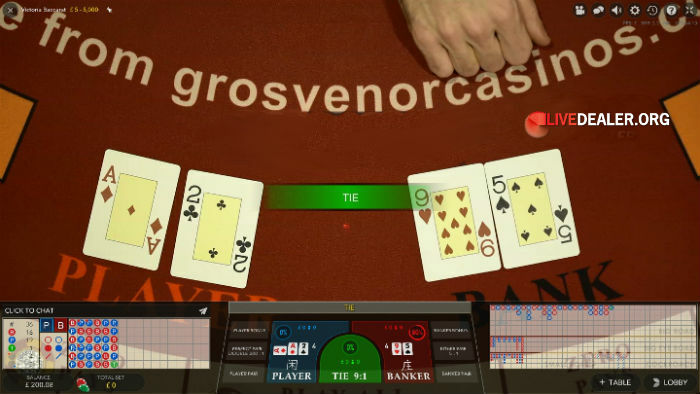 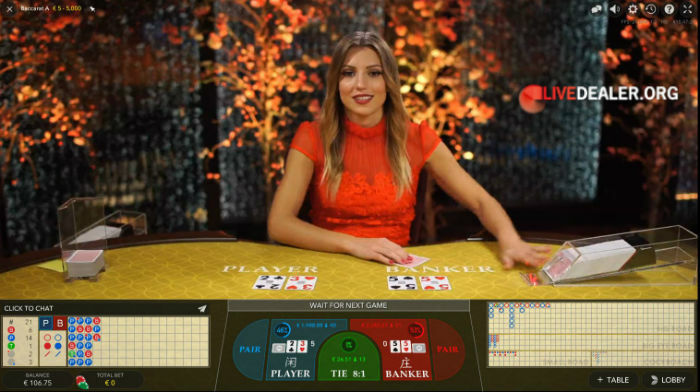 Live baccarat streamed from the floor of Grosvenor’s Victoria Casino in London is the first or Evolution’s Dual Play Baccarat series. 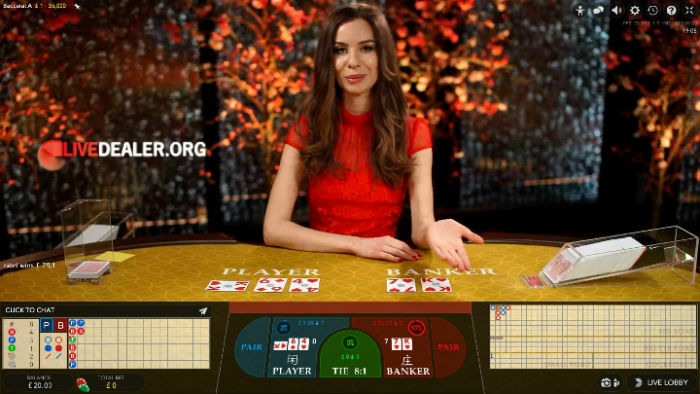 Play alongside seated patrons within the Vic. 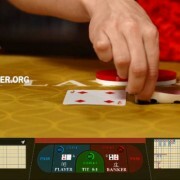 Of course you won’t need pad and pencil to mark your roadmaps as they do. 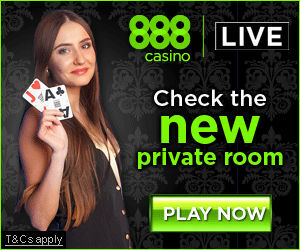 Optional pairs side bets available (not Egalite sidebets which are available to in-casino patrons only). 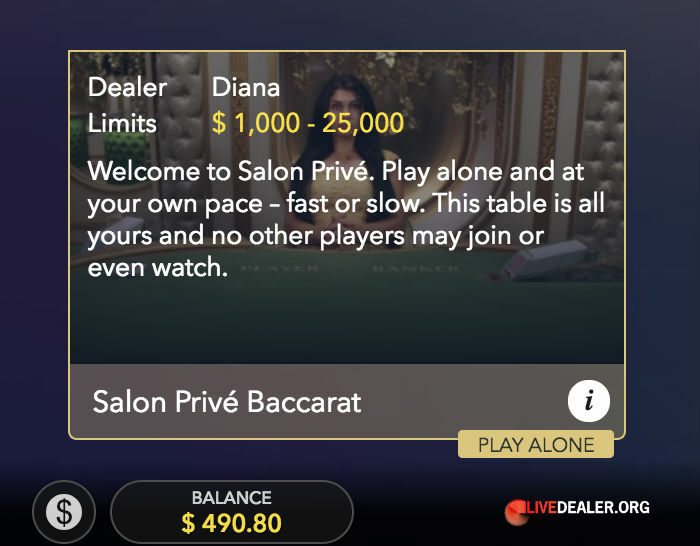 Evolution Gaming launched Salon Privé baccarat in July 2018, for the serious high rollers, or Super VIPs out there. 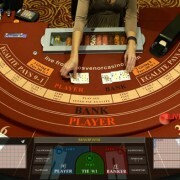 Only players with a casino account balance over $‎€£ 6000 can access this table. 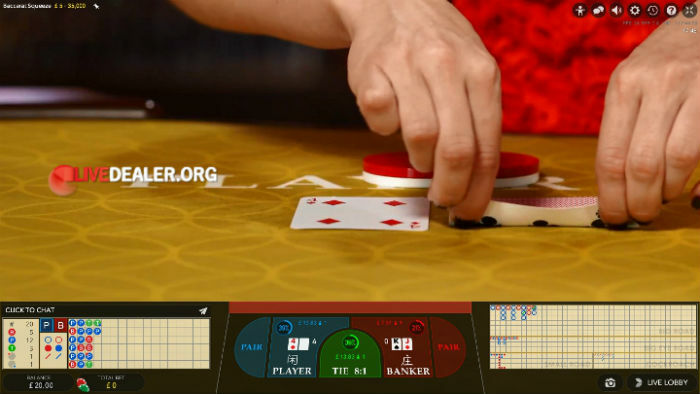 Pass that criteria, and the table is yours and yours alone for the duration of your playing session. 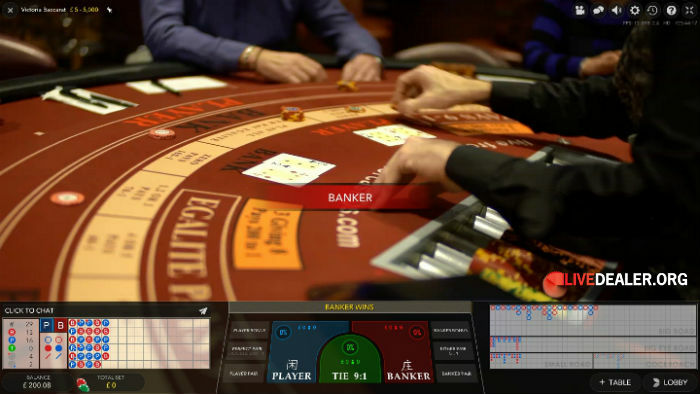 Play at your preferred speed. 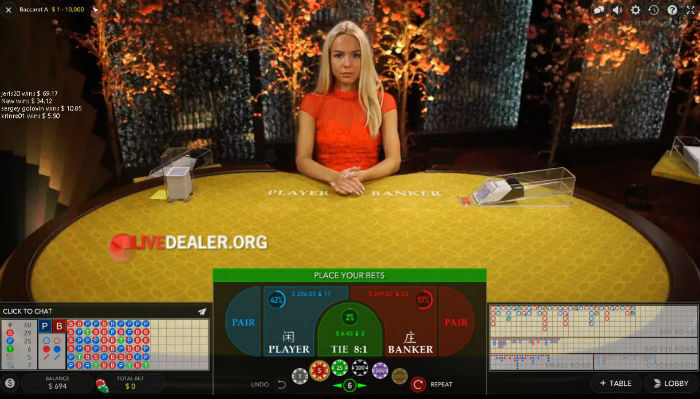 Request a dealer change if you wish. 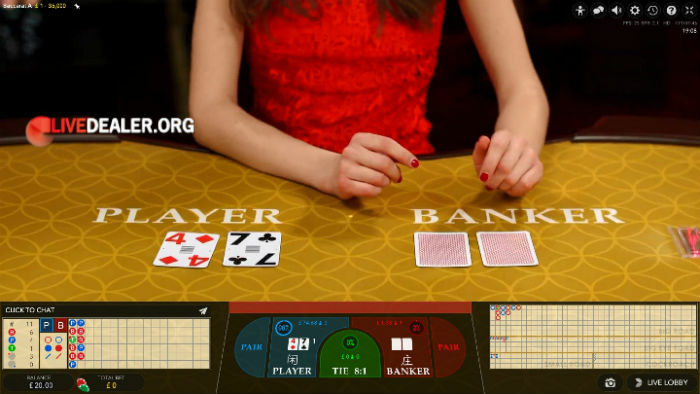 Standard Punto Banco baccarat bets and payouts apply (Banker 0.95:1, Player 1:1, Tie 8:1). 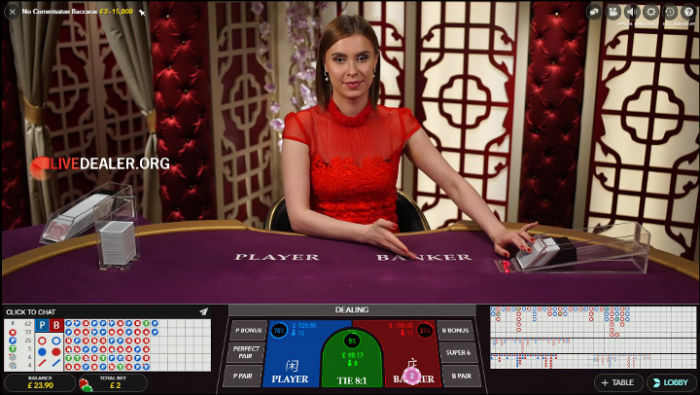 Side bets also offered.